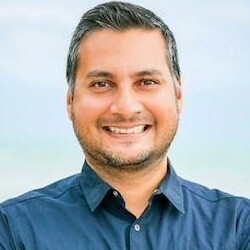 The majority (57%) of B2B information technology buyers are using social networks as part their purchase decision process, according to a recent report from IDG Connect. Moreover, B2B buyers say content discovered on social networks will likely have more influence on their purchasing decisions than directly accessed editorial or vendor content in the future. 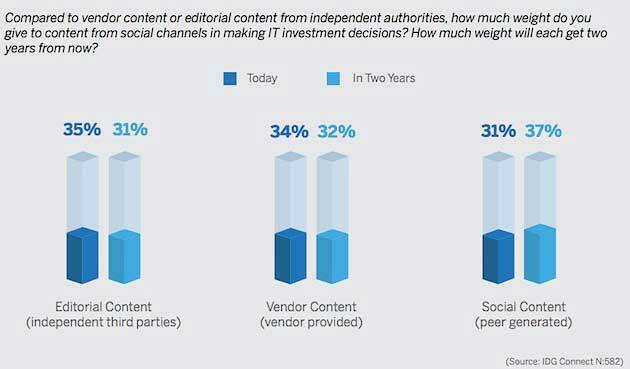 Today, editorial content has the biggest influence in making IT investment decisions (35% of buyers give it the most weight), followed by vendor content (34%), and then social content (31%). In two years, buyers believe, content found on social networks will move ahead of both editorial and vendor content in terms of importance (37% say it will have the most weight).